According to Toronto’s Municipal Code, Chapter 681 By-Law, downspout disconnection (or exemption) has been required for all homes in The Pocket since November 2011. 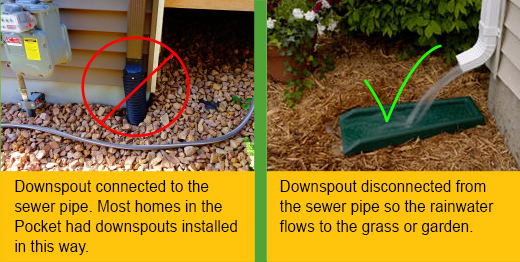 The city provides an Exemption for homes where disconnecting the downspout is impractical, for example if disconnection would create a hazardous condition or is not technically feasible. 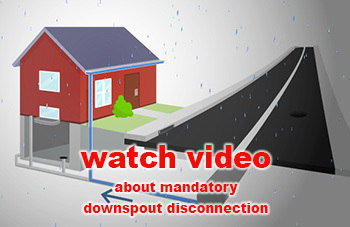 The application form for the downspout disconnection exemption is on the website above. 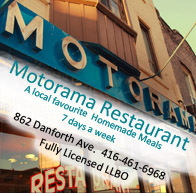 The application form is straightforward and most residents can complete it without help. 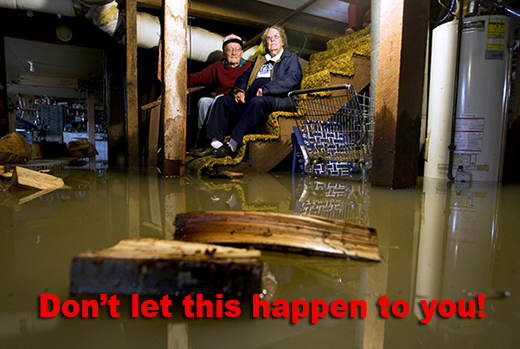 Low-income homeowners may be eligible to be reimbursed for the costs associated with disconnecting their downspout. The city recommends downspouts to be disconnected by the resident (do-it-yourself) or by a city-licensed contractor. Useful instructions on do-it-yourself disconnection are in the website. While you’re at it, you might want to add a rain barrel to your yard. Soft, chemical free rainwater is preferred by many species of plants, plus it’s free water to use. Rain barrels can be purchased at any garden center. There are different sizes and shapes, so look around for one that fits your lot, budget and colour scheme. In case you would like further advice, information or a home visit, write to Gord Fraser, the PCA’s resident authority on downspouts and energy issues. You can reach him at gordon-fraser@sympatico.ca Gord is the Chair of the PCA Energy Committee and is a Pocket resident.